A semi-abstract illustrative approach to a bluebird in the field. I love using complementary palettes - in this case blue and orange supported by a variety of greens. 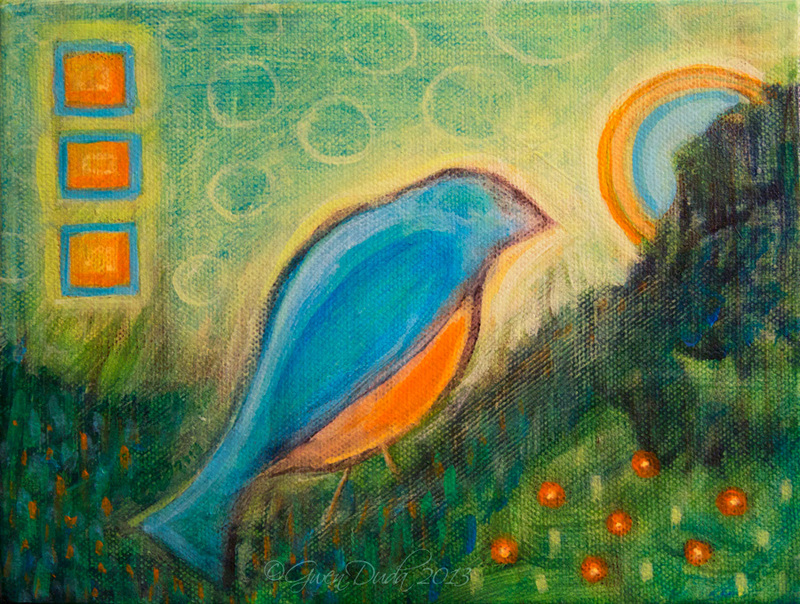 A fun and uplifting piece 6" x 8" on stretched canvas. The image continues around the sides of the painting and it's ready to hang right out of the box.